According to American Sleep Medicine, 40 million American suffer with sleep disorders. The National Institutes of Health estimate the figure to be as high as 50 to 70 million. Eating food or beverages containing caffeine before bedtime: chocolate candy, coffee, tea, cookies containing chocolate, or coffee flavoring. Smoking before bed. Nicotine is a stimulant. Exercising within 5 hours before bedtime. Exercise is stimulating, and may keep you awake. Eating a heavy meal close to bedtime. Maintain a sleep schedule. Go to sleep and awake at the same time everyday. Before bed treat yourself to a relaxing ritual. Take a bubble bath. Light candles and practise meditation. Read a book. Listen to calming music. Practice Hatha Yoga. Make your bedroom comfortable for sleeping. Adjust room temperature if it interferes with your ability to sleep. Clear out clutter. Use room darkening shades. Sleep on a comfortable mattress. 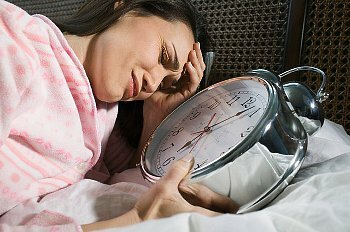 Sleep disorders are very common, and treatable. If you don’t get enough rest, you might develop any one of these symptoms, or health conditions. Increased risk of high blood pressure, and weight gain. Impaired judgement, performance and mood. Falling asleep at the wheel, resulting in a driving accident. Posted on August 11, 2013, in Chronic Disease, Health News and tagged American Academy of Sleep Medicine, Insomnia, Sleep deprivation, Sleep disorder. Bookmark the permalink. Leave a comment.